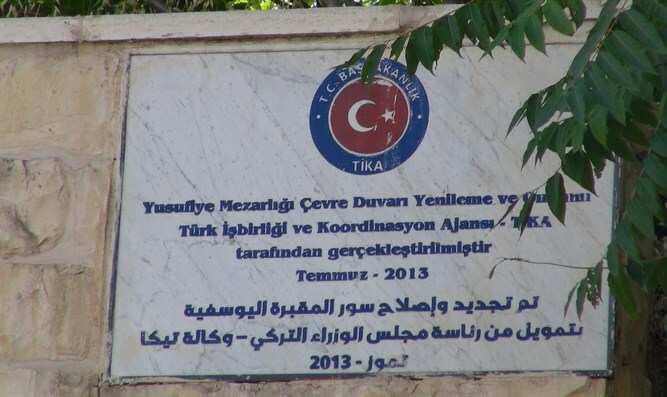 Jerusalem City Councilman Aryeh and director of the Israel Land Fund revealed to Arutz Sheva how the Turkish government if violating Israel's sovereignty in Jerusalem and posting illegal signs in and around the Old City of Jerusalem. "The Turkish government that daily attacks Israel and collaborates with the terrorists in Gaza - they are putting signs around the walls of the Old City, and the Israeli government and the municipality of Jerusalem ... are not taking care of these Illegal signs," King said. "What are allowing our enemy to do in our capital?" he asked.